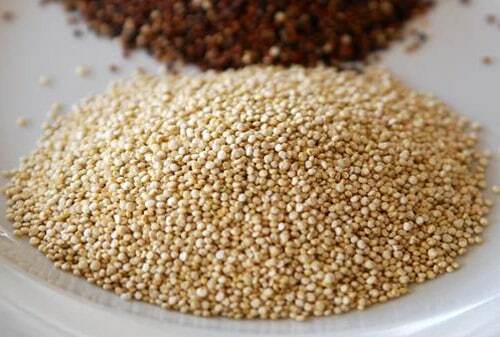 Quinoa (pronounced as “kin-wa”) has been a staple food for people of South America since 5000 years. But it was only a few years ago that its nutritive importance was discovered. Quinoa has become a trend since then; a food that most chefs like to experiment with. Some replace rice with it, while others try a new recipe all together. It is called the “Mother of all grains”. Let us explore the benefits of Quinoa. High quality protein – The most important benefits of Quinoa are that it is one of the few vegetarian sources of high quality protein. Most grains contain limiting amino acids and have low levels of Lysine and Isoleucine. Quinoa on the other hand, contains fairly good amount of both these amino acids. And hence it serves as a complete protein source. Heart healthy fats – Quinoa provides mono-unsaturated fats. The Omega 3 fatty acid found in Quinoa decreases the risk of inflammatory diseases and many cardiovascular diseases, including atherosclerosis. Antioxidants – Benefits of quinoa are from its antioxidant flavonoids. These are present in abundance in Quinoa. It has not only a protective function, but also increases stamina and post workout recovery of muscles. Hence, it is a power food for the fitness lovers! Riboflavin – Those who suffer from migraines should definitely include Quinoa in their diets to avail its benefits. Being a good source of riboflavin, Quinoa can help in reducing the frequency of migraine attacks. It is a good source of magnesium which helps relax blood vessels and prevents constriction and rebound dilation. Calcium – Although it is not a very rich source of calcium, it is a useful source for vegans, vegetarians, and those who are lactose intolerant. Anti-inflammatory properties – The anti-inflammatory properties in Quinoa helps in cancer risk reduction. Specially, cancers of digestive tracts and colon. The most important benefits of Quinoa is that it has complex carbs. It provides dietary fibre; it is gluten free and easily digestible. It serves as comfort food and helps in controlling cravings. Combined with the benefits stated above, it works as a wonderful food for weight loss. Diabetics can benefit from Quinoa. It has complex carbs and dietary fibre. It helps in reducing sugar hikes in diabetics, and overall management of blood sugar. It also helps in diabetes risk reduction in individuals. Quinoa is available in red, yellow and black varieties. You can pop it like popcorn, sprout it or use its flour in baking, Substitute Quinoa with your brown rice recipe. Make porridge. I personally like the Quinoa and corn griddle cake with black bean topping. You can check the recipe on our blog. With so many benefits of Quinoa, it sure is worthy to be on your next shopping list. Where can we get Quinoa ? it is Rajgira? quinoa is easily availble online or at supermarkets in big cities . it is not rajgira , basically quinoa is not an indian crop .